ETC students grades 7th-12th can look forward to activities under the leadership of homeschooling Mom, and Consortium Instructor, Tammy Gamble, as the Director of the ETC Teens Ministry. 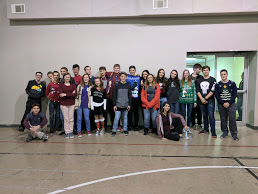 Fellowship activities on the first Friday of each month in which the goal is not only to have fun but also to foster a sense of community within the ETC teen group. These events range from movie/pizza events, to solving a “who-done-it style” mystery and other youth focused acitivities. 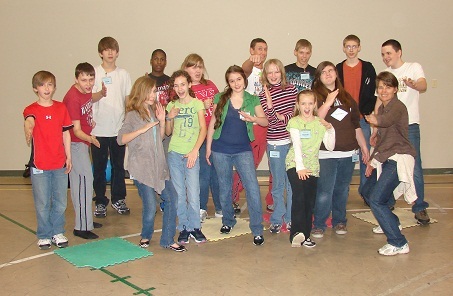 ETC teens have the opportunity to serve together, and develop leadership skills though a leadership committee/board. Check the calendar monthly for upcoming events and your opportunity to sign up. * Each youth will need a parent to attend at least one orientation and two events per year. Check calendar event description to see which events are parent-optional or parent-required. Parents are always welcome, however, occasionally a parent will be necessary to help faciliate the activity.